The Young Pope looks like it has all the style and drama expected in a Paolo Sorrentino vehicle. 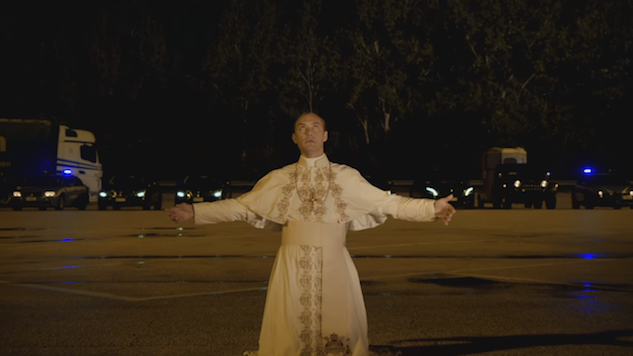 Starring Jude Law as the first (fictional) American pope, Sorrentino wrote and directed every episode of the ten-part miniseries, and now HBO has announced when they’ll all be airing in the U.S. The first episode will air on HBO on Sunday, Jan. 15 at 9 p.m. EST and the second will air the next night, Monday, Jan. 15, at the same time. The show will continue airing on Sundays and Mondays at 9 p.m. for the next four weeks. It’s a rather odd way to schedule a show, but there’s a lot about The Young Pope that doesn’t look normal. Law’s pope refers to himself as a god, Diane Keaton plays a nun who says she sees Christ in him, and James Cromwell plays a cardinal who looks to be plotting Law’s downfall after expecting to be elected pope himself. Based on the trailer, it looks like there are going to be Game of Thrones-style political maneuverings and an even deeper mystery that HBO and company aren’t letting slip just yet. You can watch the trailer for The Young Pope below.